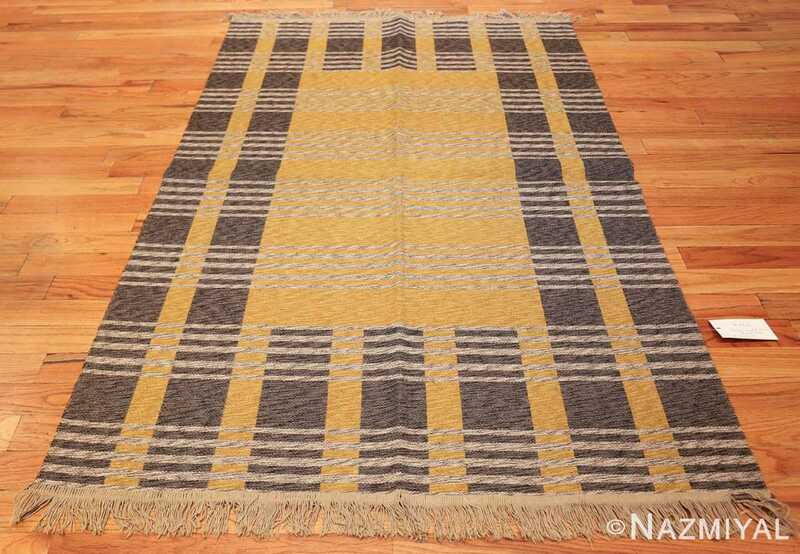 Vintage Double Sided Swedish Kilim, Country Of Origin / Rug Type: Scandinavian Rug, Circa Date: Mid 20th Century — This is a very cheerful Vintage Double Sided Swedish Kilim that should attract plenty of positive attention. 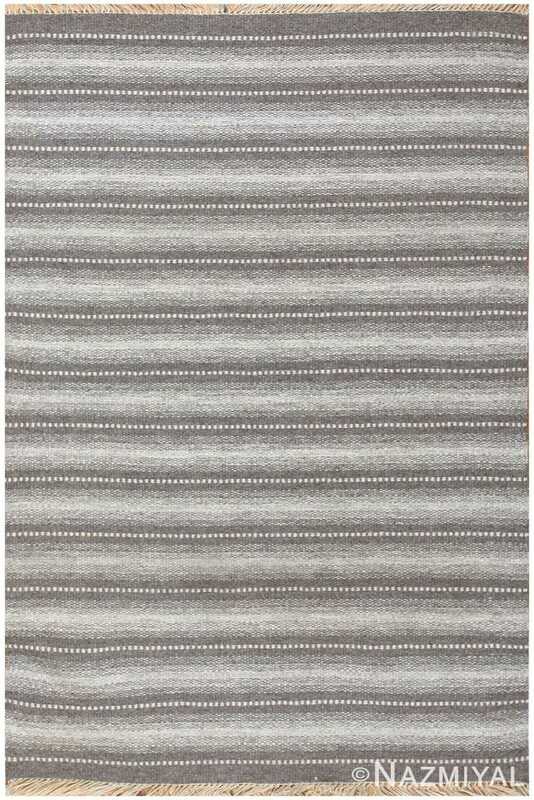 Notice the striking charcoal-grey design on a neutral mustard toned background. 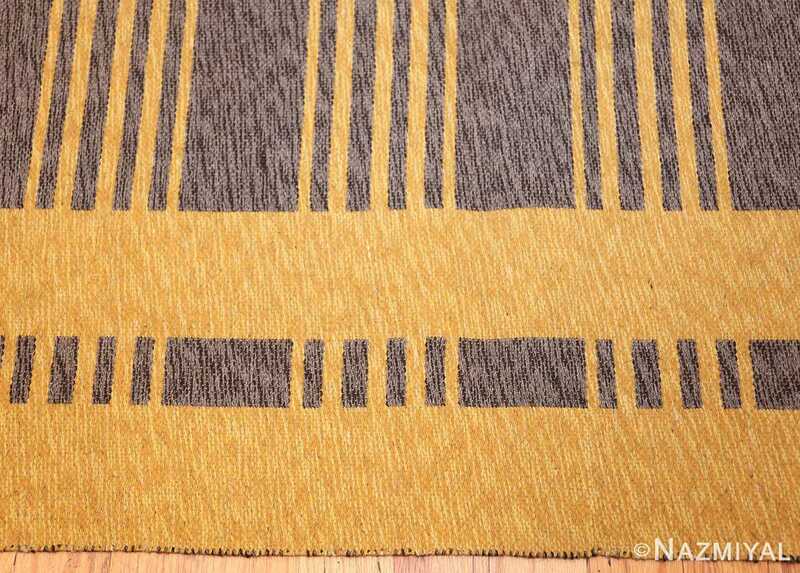 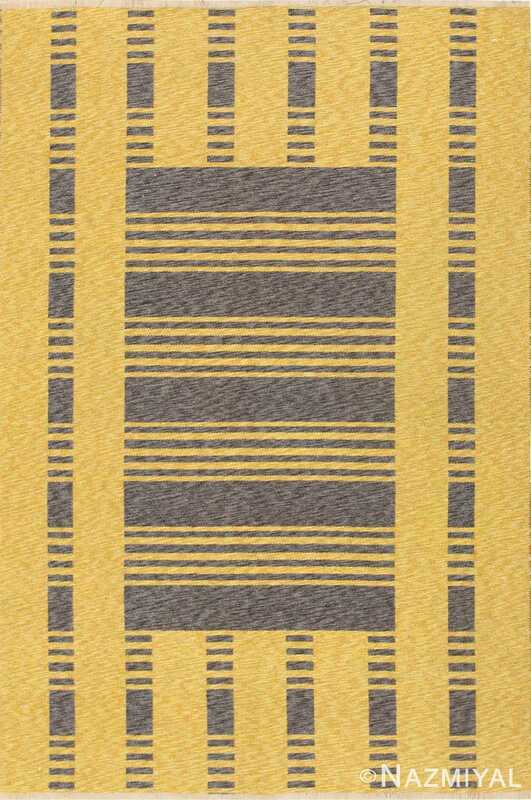 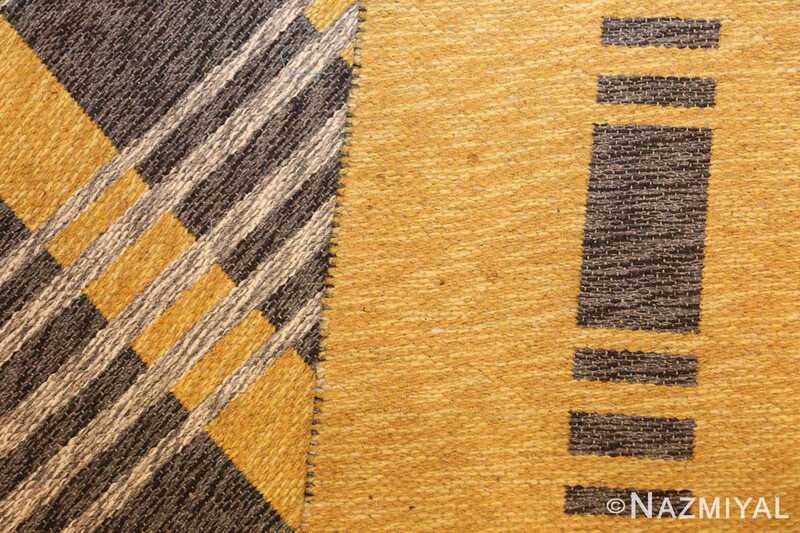 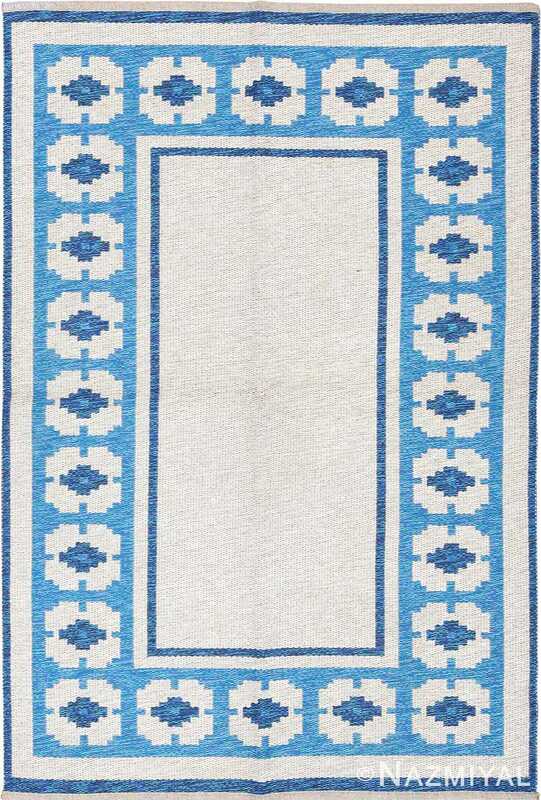 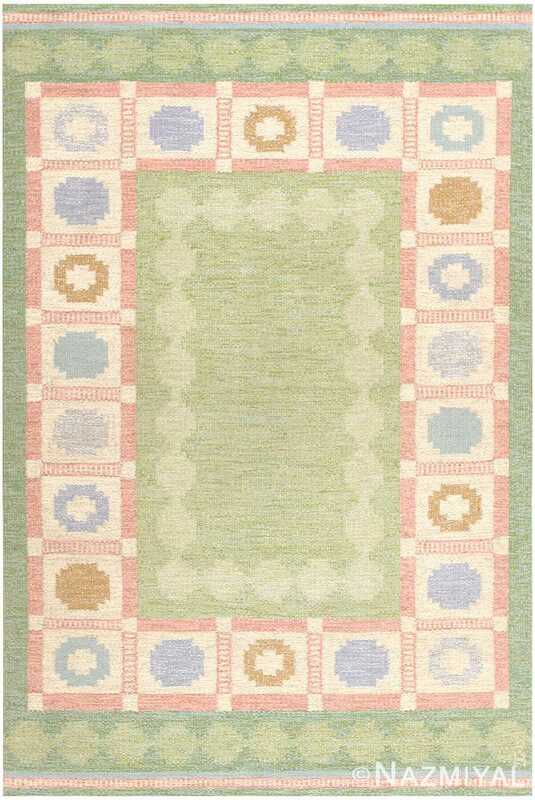 It features a unique and simple geometric design on each side of the rug. 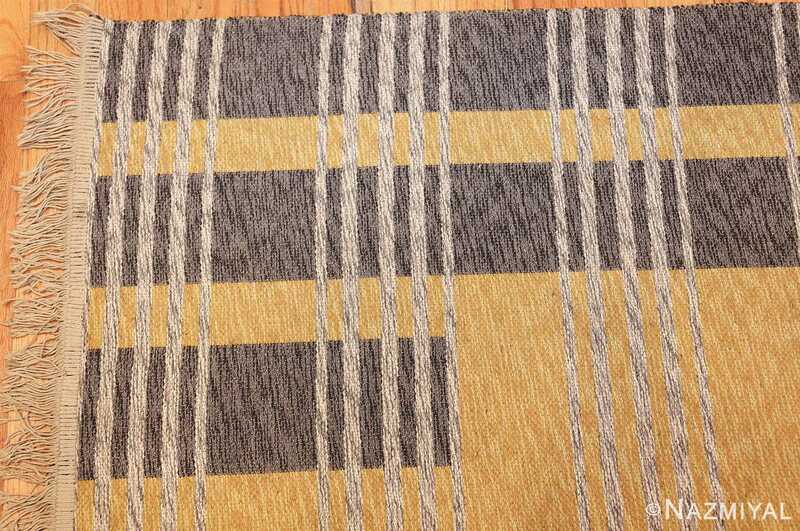 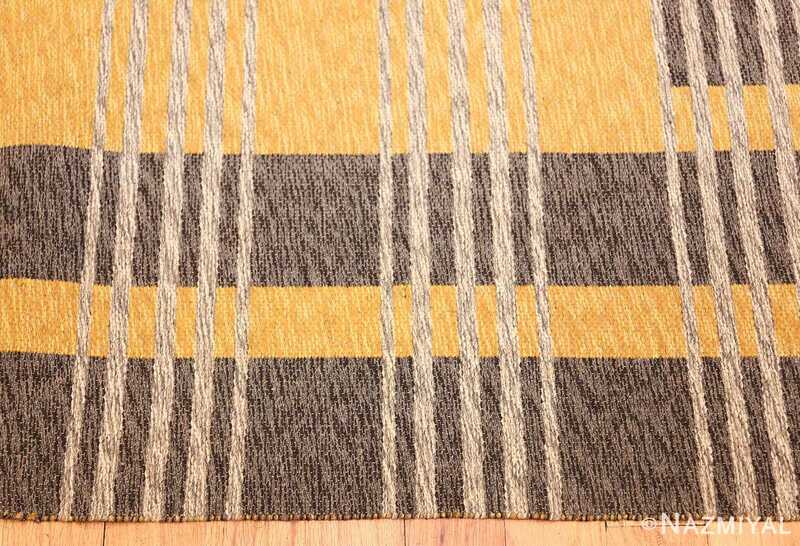 As a result, it is easy to change the rug design on a whim. 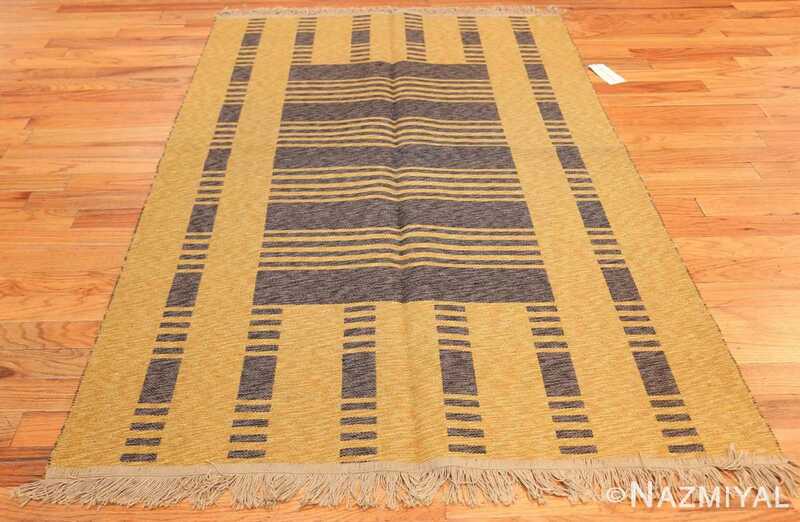 Think of an enjoyable day or evening spent in a room with the elegantly designed Vintage Double Sided Swedish Kilim. 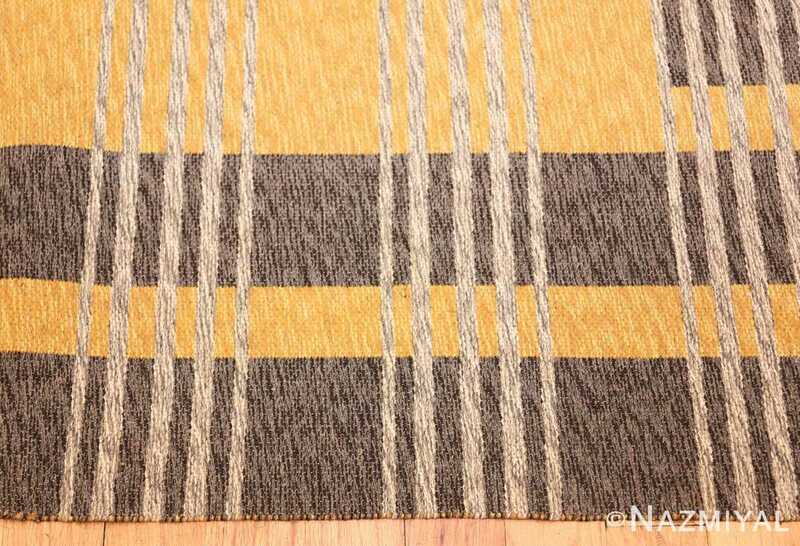 Relax and enjoy the superior design and enticing style that easily captures the culture of the Scandinavian artisans who produced it.